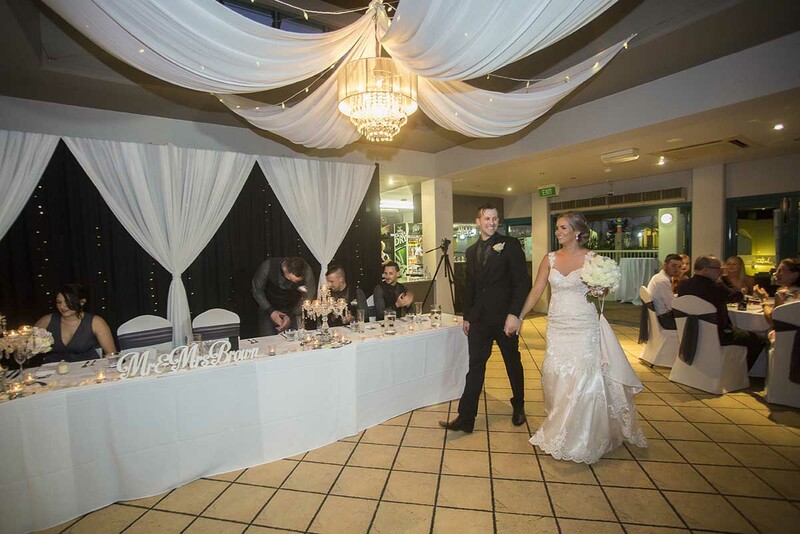 Shingley Beach Weddings is a beautiful restaurant-style venue offering exclusive use for your wedding reception. 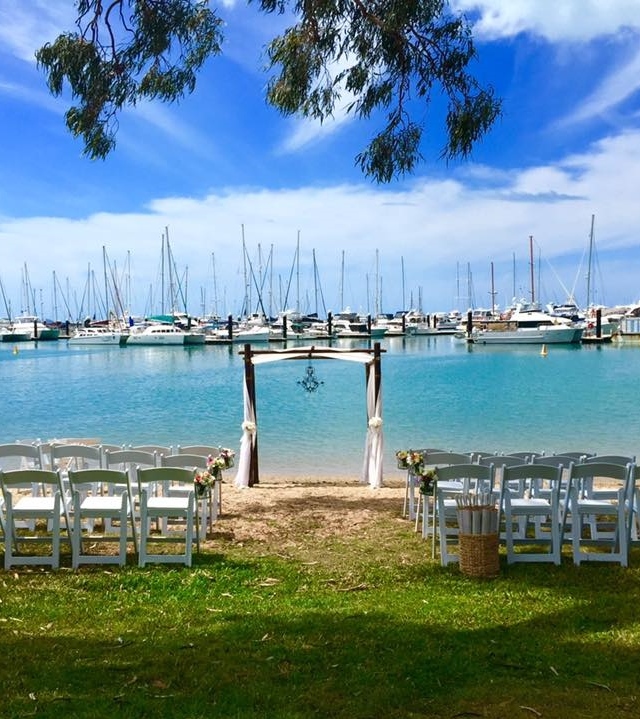 Set in a quiet seaside location, the venue overlooks Shingley Beach and Abel Point Marina, providing stunning day and night time views. 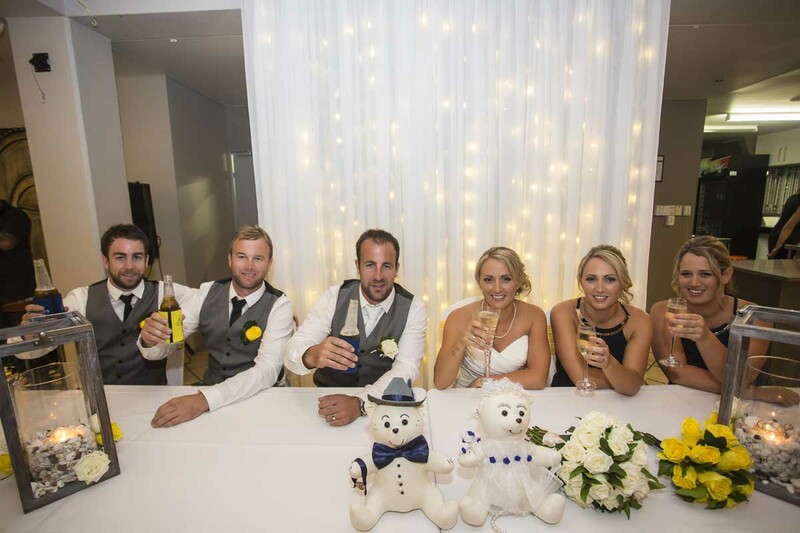 Enjoy air-conditioned comfort whilst still experiencing the tropical surroundings & views. 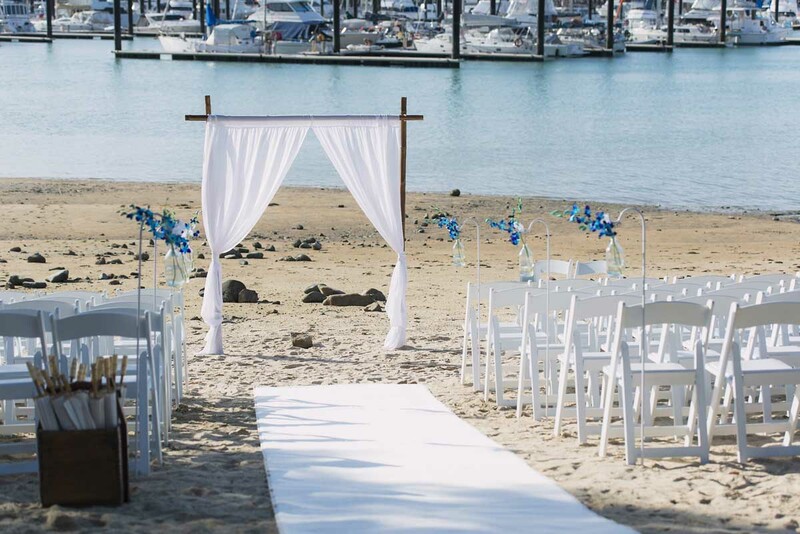 Shingley Beach Weddings can cater for up to 120 guests seated or 200 guests’ cocktail style offering a range of catered menus – seated buffets, banquets and alternate drop menus to beautiful grazing stations and canapé menus. 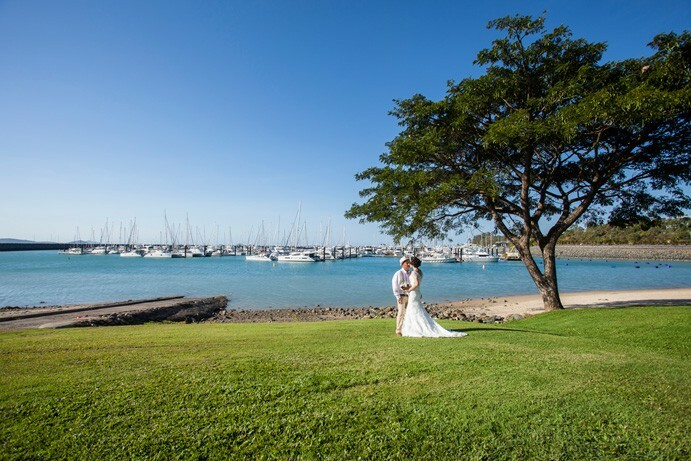 Hold your Whitsunday wedding ceremony across the street at the beachfront of Shingley Beach, with the stunning blue water of Abel Point Marina, Pioneer Bay and the Whitsunday islands as your backdrop. 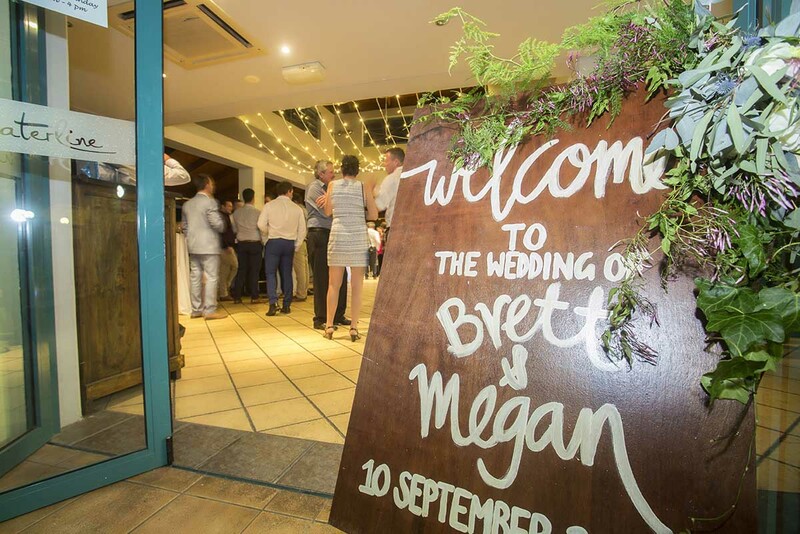 A variety of accommodation packages are also available to meet you and your guests’ budgets, from spacious, comfortable family apartments to 5-star luxury spa suites, with those famous Whitsunday views.